Three Natural Remedies to PMS for you to STOP OVARY-ACTING! Are you tired of CRAMPS and MOODSWINGS? Since the menstrual cycle is an important opportunity for the body to cycle through hormone changes and cleanse itself of endogenous tissue, we do not want to get rid of it. We want to get rid of the bloating, cramps, moodswings, and sudden crying at car commercials. Your menstrual cycle does not have to be a painful and debilitating process. 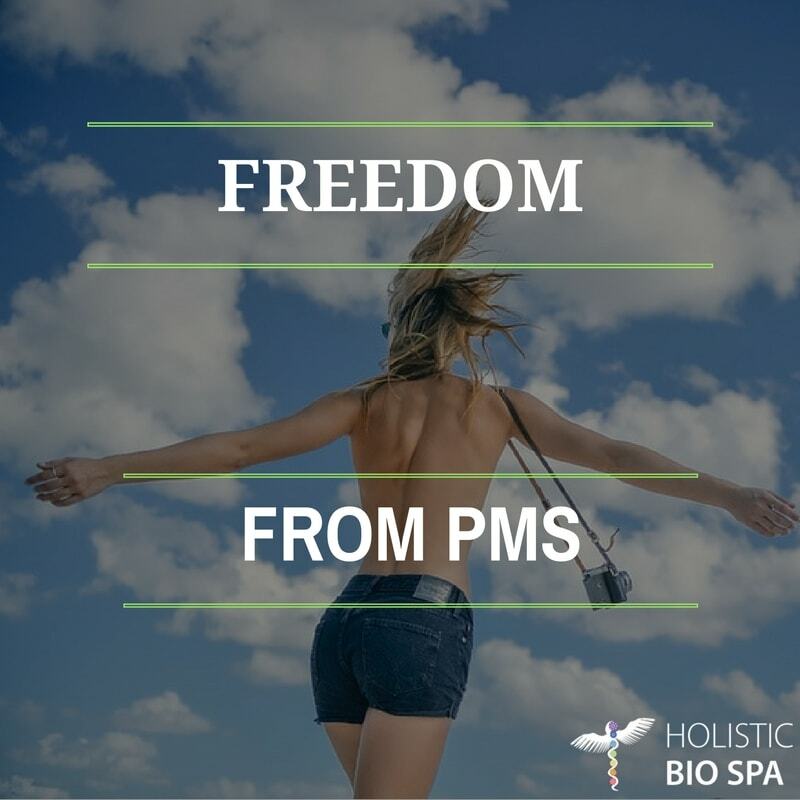 We will give you the 3 holistic health keys to get natural relief from PMS symptoms and make your monthly cycle relaxing. Menstrual cramps are caused by the swelling of the uterus as it attempts to pass large amounts of clotted tissue. A poor diet contributes to a more heavy and difficult to release tissue debris. Intestinal cramps are different, but not unrelated. When we eat, food is broken down through fermentation, and gas is a natural byproduct of this process. The poorer our eating habits, the more fermentative gasses are produced in our system. When combined, PMS, menstrual cramps, and bloating are a sure sign that your system is struggling with too much superfluous gas and blood toxicity. So, to get natural relief from PMS, you need to improve the quality of your diet and clean out all the toxic, fermenting debris trapped inside your colon. This will result in healthier blood, which will provide natural PMS relief. How do we get natural relief from PMS? Remove accumulated gas & waste with colonics. Be aware of your food combinations. The better your digestion, the less gas will be produced. Avoid foods that create yeast and mold: sugar, refined carbohydrates, and alcohol. Cleansing the colon with colonics is a great natural remedy for relieving menstrual cramps. Removing the accumulated waste and gas provides immediate relief, and helps improve your internal terrain and prevent future discomfort. Take your time between meals. Constant eating means more digestion, and more digestion means your metabolism needs to work harder. This results in constant gassy byproducts that are being created to break down your meal. To reduce the amount of gas and bloating, simply chew your food thoroughly for maximum digestion and less gas. Makes sense, right? Adding fresh ginger to your vegetable juices or making ginger tea can help soothe and provide natural PMS relief. 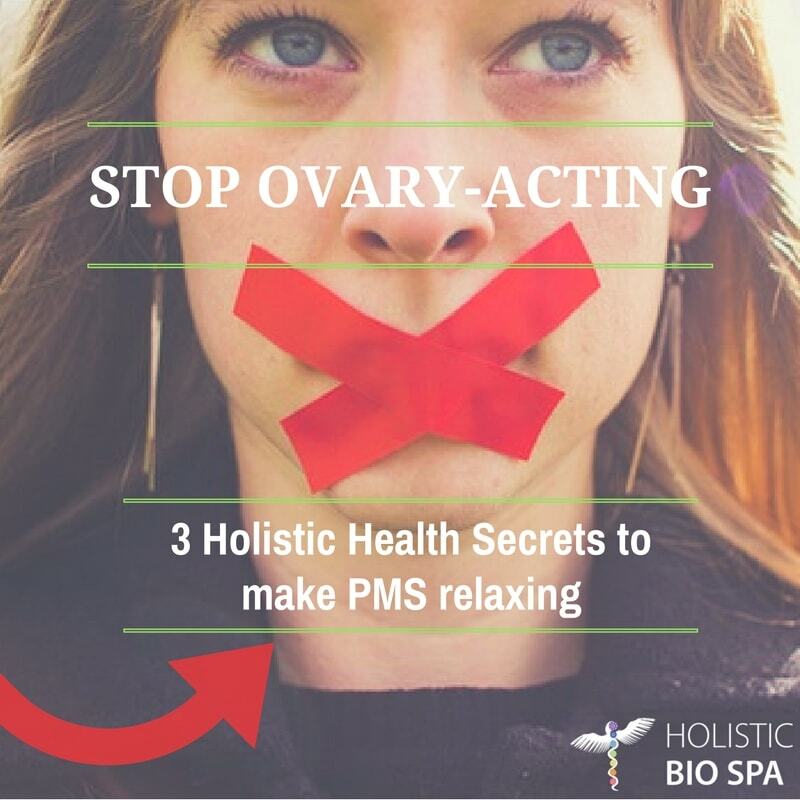 Make your PMS relaxing and stop OVARY-ACTING! We are all affected by the force of habit! Ultimately, it is up to YOU to decide what type of habits you want to cultivate. Get rid of menstrual cramps naturally by detoxifying your body with colonics at our advanced alternative medicine clinic in Puerto Vallarta, taking care of our food combinations and avoiding toxic food. By slowing down at meal time you will also find a calming natural relief from PMS and have more control over your own body.